Collaborative-interactive learning is one such way where knowledge gain happens through conversations with peers as well as with superiors through self-evaluation and discussion of business scenarios. This is all about brainstorming and experimenting that occurs during an intense discussion which leads to new ideas. The origin of thoughts of implementation takes place because of shared learning and interactions. Although this ranks second and mildly significant,it is the stage where innovations arise. This type of learning utilizes real cases, it allows the learner to react to situation faced while performing the job role. Everyone’s problem is unique and definitely synergistic learning offers a deeper picture to handle when it comes to one’s own case. The whole point of shared learning is not about eliminating the teachers in offline as well as online (e-learning and LMS) but to actuate the participation of employees for making them efficient. For managers, to activate this learning to a desired level – a short but specific goal could give a good start. Ways like sharing the documents frequently offline as well online, having the training booklets, product manuals within one’s reach can very much help in gaining the theoretical perception. Technologies can make this possible these days by creating personalised experiences. A good example is through a mobile app which could transform whatever mentioned above to digital. Organisations can measure the effect of collaborative learning through setting benchmarks and goals and check on if the numbers are moving on the respective scales. When there is a stagnant pointer then adaptations in the course content as well as the discussion possibilities could be improved to make positive results. Examples of positive results could be positive sales cycles, new hire retentions and subsequent promotions. 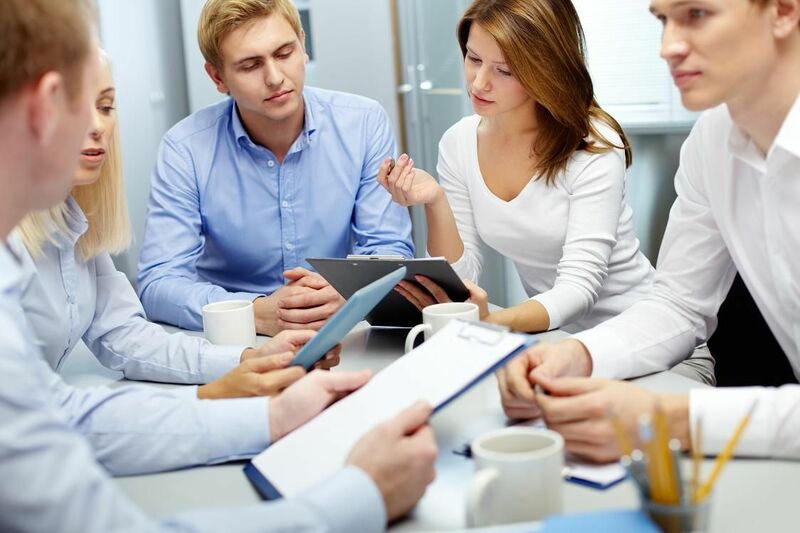 Employee feedback plays a major role as they are the participants and contemplating their opinion would be of top priority while strategizing new methods. To know more about the how technology is enabling collaborative learning, ask for a FREE demo of Stratbeans Consulting’s online and mobile learning and performance support products.